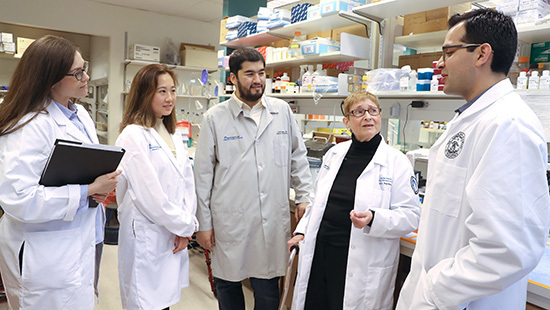 The Division of Rheumatology was founded in 1971 at Children's Memorial Hospital and transitioned to the new state-of-the-art Ann & Robert H. Lurie Children's Hospital of Chicago in 2012. New components, personnel and projects are continually being incorporated into our multifaceted division. 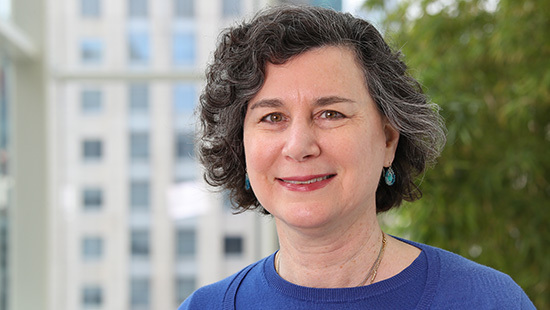 We collaborate with all divisions at Lurie Children’s as well as with our adult rheumatology colleagues next door, including Northwestern's Multidisciplinary Clinical Research Center and FIRST-DailyLife, led by director Leena Sharma, MD. We work closely with the Immunology Diagnostic Laboratory, directed by Aaruni Khanolkar, MBBS, PhD, D(ABMLI). We also collaborate with the Pediatric and Adolescent Rehabilitation Program at the Shirley Ryan AbilityLab, including medical director Charles Sisung, MD, and assistant medical director Gadi Revivo, DO. 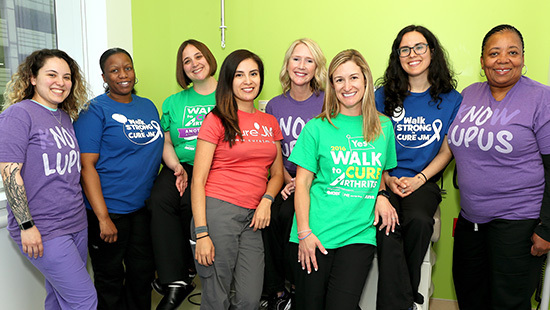 "As pediatric rheumatologists, our goals are to improve the quality of life and outcomes for our patients through study of the complex interactions of society, culture, access to care and understanding disease pathophysiology and treatment. It is also imperative that we train the next generation to continue these goals." Our specialized immunodiagnostic laboratory and specialty clinics also offer residents access to unique experiences in patient care. 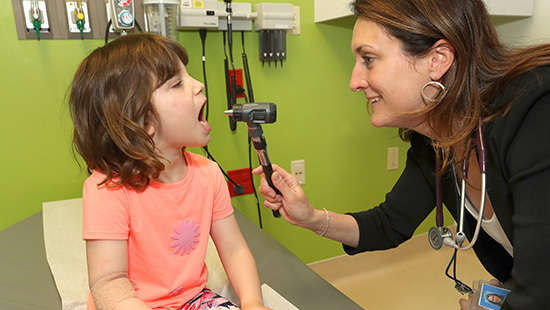 The Division of Rheumatology is engaged in research targeted to improve quality and outcomes for children who live with autoimmune and autoinflammatory disorders including childhood forms of arthritis, lupus and vasculitis. Each physician in our division takes on this charge through a different focus resulting in a multidisciplinary approach to reach our goals. View our publications feed. 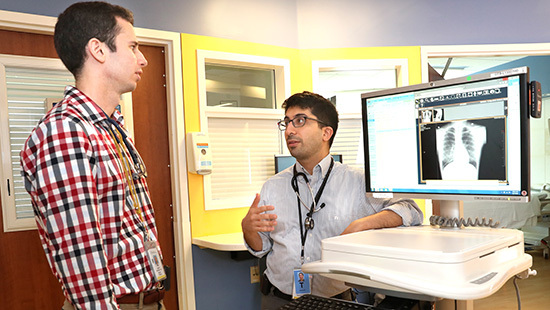 Residents will work alongside faculty who are board certified in pediatric rheumatology, pediatric physiatry (rehabilitation) and immunology and allergy subspecialties. The division offers a three-year accredited fellowship program. Fellowship recipients are matched to the program through the NRMP Fall Specialties Match in conjunction with the ERAS application service. At Ann & Robert H. Lurie Children’s Hospital of Chicago, we appreciate the support we receive from multiple disease-specific support groups. In return, we are constantly providing our time and expertise to support institutions such as the American College of Rheumatology, the American Academy of Pediatrics, the Arthritis Foundation, Cure JM, the Lupus Foundation and the Vasculitis Foundation. Your support is ​important in helping us continue to make a difference in the lives of patients and families.